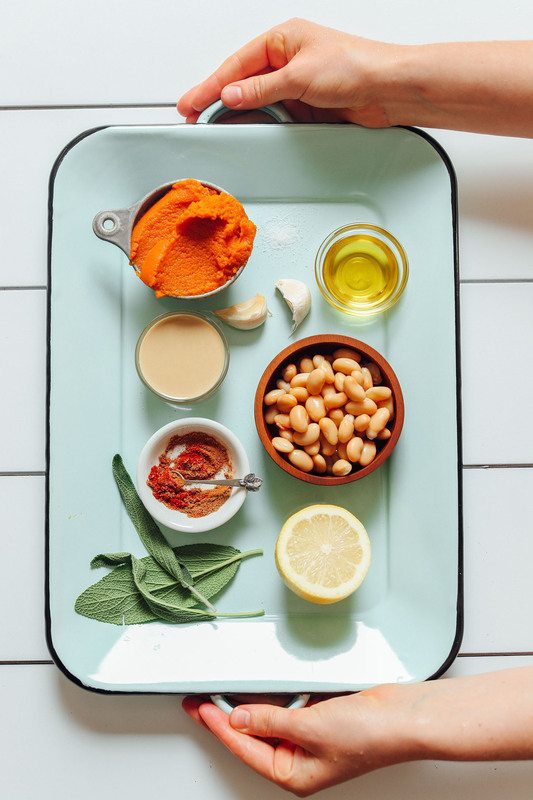 Fluffy, savory, 10-minute white bean hummus infused with pumpkin, lemon, and crispy garlic and sage! A perfectly spiced, hearty, and wholesome dip or snack for fall! Serve immediately with pita chips and vegetables of choice (see notes for pita chips). Alternatively, refrigerate until chilled - about 3-4 hours - for a thicker, creamier dip. Store leftovers covered in the refrigerator up to 5-7 days. *To toast pita: Preheat oven to 375 degrees F (176 C). Cut pita into bite-sized triangles and lightly coat with avocado oil (or another neutral oil). Arrange in an even layer on the pan so they toast up well. Bake for 8-12 minutes or until lightly browned. Remove from oven and let cool slightly before serving. Sprinkle with salt if desired. *Recipe as written yields roughly 1 3/4 cups dip. *Nutrition information is a rough estimate calculated with lesser amount of oil and without optional ingredients. This hummus is better than the name suggests. 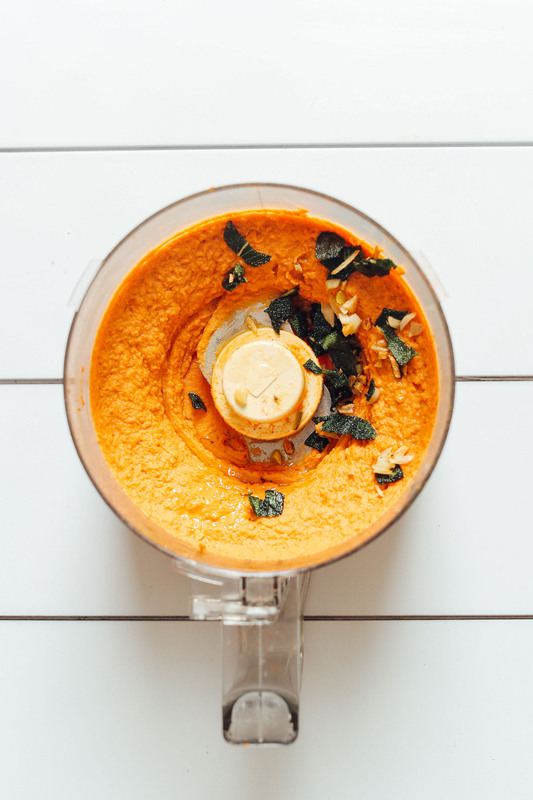 I’m a pumpkin-lover and even I was a bit unsure of how it would taste mixed in my favorite dip. Let it be known that this is super tasty! I made the recipe as listed and it was quite yummy. I liked it with the added cayenne and a touch of harissa paste–for some more heat. While it is good as written, I’d be curious to try it without the cinnamon and nutmeg next time so that it tastes more like a spicy dip. In case anyone is wondering how to use it: it’s excellent as you would enjoy any other hummus! I make hummus “tacos” with it, plop it on zoodles, rice cakes, salad, etc. So glad you like it, Melanie! Thanks for the review and suggestions! Followed recipe as suggested except cayenne. Taste great. 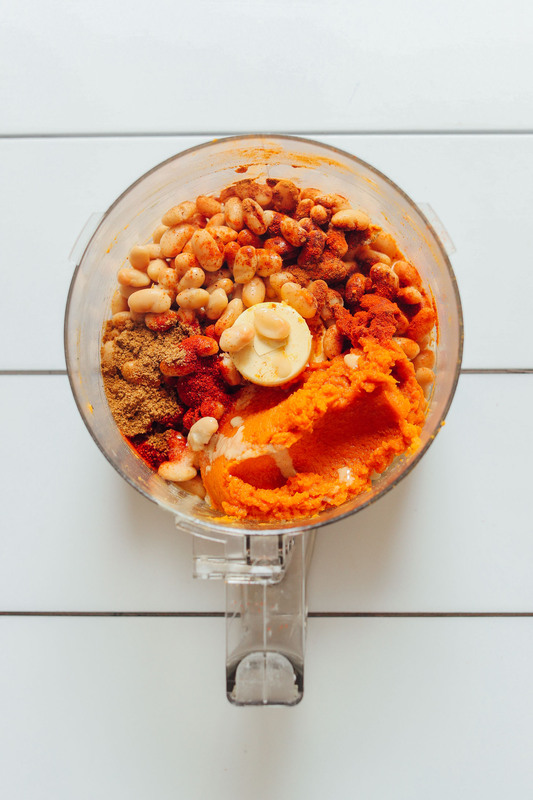 This recipe allows me to integrate white beans into my diet. Your ingredient combinations are impressive. Merci beaucoup!! Wow, this hummus (like you said) is SOOO GOOD. I am eating it with roasted vegetables (sweet potato, carrots) and it’s so perfect and comforting. Thank you for this one! Next time I’ll pair it with your vegan cornbread. Can’t wait! Thanks for being such a great inspiration and a wonderful teacher. I can’t get enough hummus. I recently made a white bean pumpkin hummus with chipotle but this one with the crispy sage looks DIVINE. Thank you for sharing :). Wow!! A keeper. I followed the recipe exactly, then just increased the spices a little at the end. The sage-garlic-olive oil addition is wonderful. I really hope I get asked to bring an appetizer to Thanksgiving because this is it. So flavorful and also much prettier than regular hummus. It will be beautiful surrounded by colorful veggies. I had fresh pumpkin puree left over so I decided to make this. It was crazy easy and VERY good! In fact, the sage/oil part was probably the most work and I could’ve done without it (my friends like it with the sage). Yay! Thanks for sharing, Priscilla! Your hummus recipes are fantastic! Finally got a food chopper so I’ve been trying them out. Love the pumpkin twist. 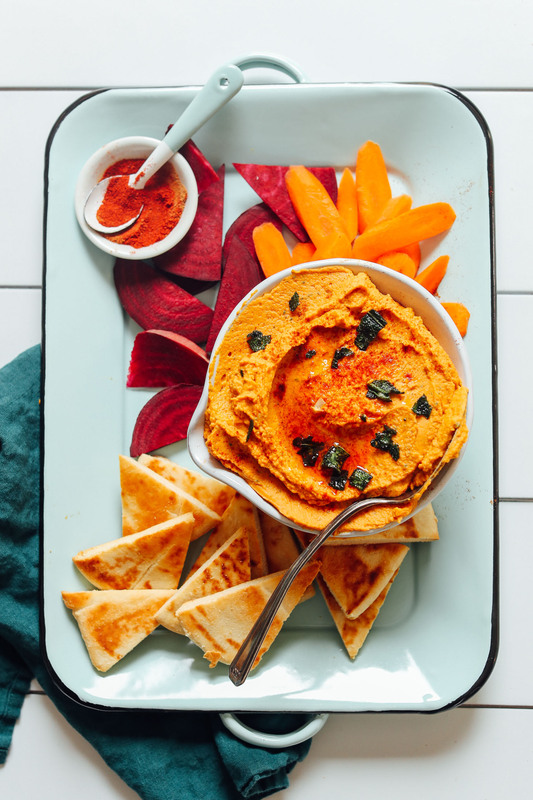 I love this twist on my regular hummus go-to’s! I roasted a delicious pumpkin and have made this, the baked pumpkin oatmeal and I still have some leftover to make some other pumpkin recipe of yours! So many thanks! I made this and just substituted dried sage for fresh. It is SO amazing. I paired it with local organic “cornbread” chips and it was a huge hit. SO flavorful! 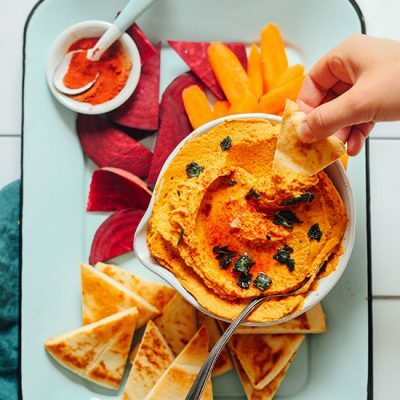 Delicious white bean-pumpkin dip! I didn’t have fresh sage, so I subbed a smaller amount of dried sage. The sage was a nice touch and this probably would’ve been even tastier if I hadn’t been too lazy to go to the grocery store. Mix together until thick and use as filling for handmade ravioli. Use leftover sage from hummus recipe to make brown butter sage sauce for ravioli, so good!! It’s so rare for me to find pumpkin hummus in stores! I wonder why for some reason…it’s a great flavor of hummus. 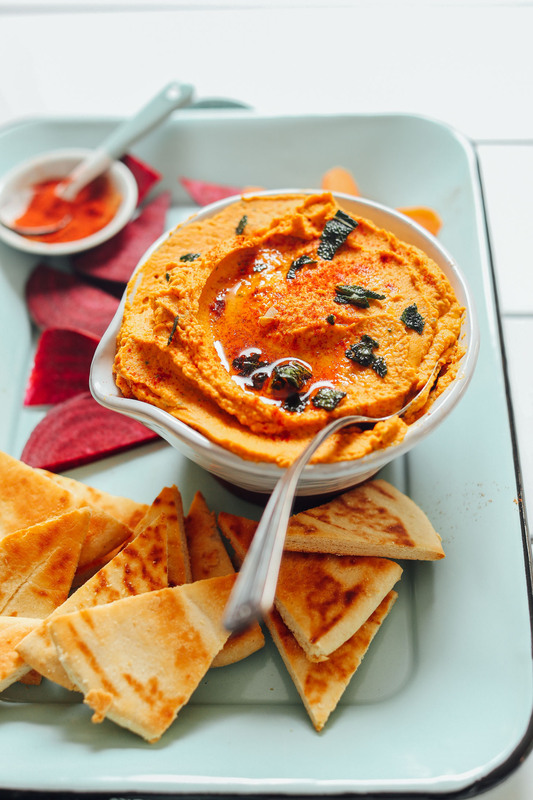 Anyhow, this white bean pumpkin hummus looks more vibrant and flavorsome than ANY store-bought hummus I’ve seen yet. It’s probably even cheaper to make it at home depending on what beans you use! Question: how much beans would you use if you were to use beans that were cooked from dry? Hi Cassie! So for one 15-ounce can of beans, you can cook 3/4 cup (4.5 ounces) of the dried version and be in the ballpark. Hope this helps! Holy. Moly. This is AMAZING. It’s not aggressively pumpkin, but it is aggressively delicious. I made it tonight for a work party tomorrow and purposely chose a just too small Tupperware so I’d get a little pre-dinner snack :) Thanks for a great recipe! Yay! We are glad to hear that, Elliot! Het there! My name is Madalynn Smith, and I’m a writer for Washington and Lee University’s chapter of Spoon University. I was wondering if I would be able to use the picture of the hummus in my article. Thanks! Hi Madalynn! You can find our image and recipe sharing guidelines here! Can I leave the tahini out of this? I’d like to make this with my son’s class but there is a nut/seed allergy, so I can’t replace it with another nut or seed butter. That should work! It will affect the flavor, so adjust accordingly as needed. Hey Dana!! Can I sub pinto beans for the white beans? If not cool, I was just wondering for a “twist” effect!!! Hmm, I think so! Let us know if you give that a try. Usually 1 15 oz / 425 g can of beans yields 1.25 cups cooked beans. Hope that helps! Thanks! I also did some research, and found out I need to (soak and) boil approximately 1/2 cup of beans to get the same amount as your 15 oz can. I know it is an extra piece of work, but freshly boiled beans (or peas) do taste lovely, and for hummus, where the bean/pea taste is so dominate, I think it is worth it! (Living alone I boil a big pot and freeze in portion sizes – makes it easy to be spontaneous). This turned out great! I didn’t have any sage, so I just added one pressed garlic clove, and a drizzle of olive oil directly into the blender. My family really enjoyed it, and it was a nice change from regular hummus. Thanks for sharing this recipe! is there a sweet version of this? i hate to get all “dessert hummus” but i do love my sweet cinnamony pumpkin! yes please please please…. before it’s not pumpkin “season” anymore. a few other sites have had them but i know only you can make it amazing. This was so delicious. I used the water from the beans (I made in the crockpot) and it turns out soooo creamy. 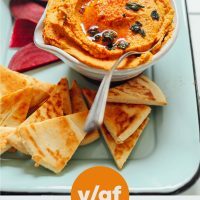 Can I substitute the tahini with something else? I think my daughter would love this but she is allergic to sesame. Try it with peanut butter, if your daughter can eat peanuts. Adriana, if you can sub another seed butter, such as sunflower that would be ideal. Or, cashew butter? Just made this, it is very good. I did not have sage at the time so I found out I could use poultry seasoning in its place. Yum. White Bean? My first guess was white kidney beans? Or chickpeas? One better than the other? I happened to get two small pumpkins from TJ’s this morning and had dried northern beans and everything else on hand. So I made from scratch – and it’s delicious. I would have preferred to serve warm, but chilled to bring to a party tonight. While this may not technically be hummus, it is technically delicious! I did not have sage, so I left that part out and it was super tasty and super easy. Go make it! Well, the word “hummus” literally means “chickpeas” !!! Yes! Chickpeas can easily be subbed here. Fabulous! Thank you for sharing! We used whole wheat pita with the avocado oil and that smelled so good in the kitchen while we made the hummus. It’s super-nutritious, too! Lol! I read your ‘aggressive garlic’ comment before seeing your correction and I thought – hmm, wow that’s a fun thing to be aggressive about!